Sharice Cummings Wallace is an Associate in the firm’s Philadelphia Office. Sharice is admitted to practice in Pennsylvania and New Jersey. She earned her undergraduate degrees in Political Science and Economics from The Pennsylvania State University, and her law degree from Villanova University School of Law. During law school, Sharice served as a research assistant for former Assistant Dean Sheilah Vance, Esquire, as a judicial extern for the Honorable Thomas N. O’Neill, Jr. in the United States District Court for the Eastern District of Pennsylvania, and as a legal intern for the Philadelphia School District’s Office of General Counsel. Sharice also served as a Staff Writer and Managing Editor of Student Work for the Sports and Entertainment Law Journal, President of the Black Law Students Association (BLSA), Admissions Ambassador, Student Attorney in the Federal Tax Clinic, and volunteered in the Volunteer Income Tax Assistance Program (VITA). At her law school graduation, Sharice received the Faculty Service Award. 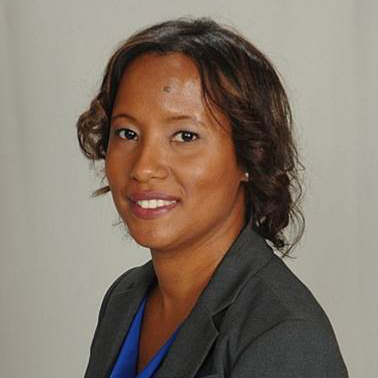 She is currently a member of the Villanova Law Minority Alumni Society Leadership Board. Prior to joining Locks Law Firm, Sharice served as a law clerk for the Honorable Sandy L.V. Byrd in the Philadelphia Court of Common Pleas and the Honorable Doris A. Smith-Ribner in the Commonwealth Court of Pennsylvania. She also has experience representing clients in state and federal courts and administrative agencies in areas of labor, employment, civil rights, education, transactional, regulatory and appellate law. In 2016, Sharice participated in the Philadelphia Bar Association’s Board Observer Program with the Legal Clinic for the Disabled. She currently volunteers with the Bar Association’s Advancing Civics Education (A.C.E.) program and other community service organizations. Sharice enjoys reading and spending time with family and friends. Asbestos in Crayons? Benzene in Markers? …. Oh My!